The federal government has squandered hundreds of millions of dollars on charter schools that never opened or later closed, an anti-charter group wrote in a recent report. Idaho’s Public Charter School Commission oversees 41 of the state’s 56 charter schools. That list includes Idaho Falls’ American Heritage Public Charter School, singled out last week in a report from an anti-charter school group. The wasted money — in Idaho and beyond — tells only part of the story. And the Network for Public Education report twice uses Idaho to illustrate the feds’ lax management of the $4 billion Charter Schools Program. The network’s report called out several schools across the nation — including Idaho Falls-based American Heritage Public Charter School — as examples of grant recipients that discourage student diversity. Contrary to claims in its grant application, American Heritage’s demographics do not reflect the community, the report says. For example, only 24 percent of American Heritage’s students qualify for free or reduced-price lunch, compared to 46 percent of students in the Idaho Falls district. The report suggests these gaps are cemented through school policy — including an emphasis on “patriotism,” a detailed dress code and a ban on head coverings, with no exceptions for religious or cultural reasons. “The school uses a number of dog-whistle tactics to attract politically conservative families, which likely influences the demographic make-up of the school,” the report. The report also notes that Frank VanderSloot — CEO of Idaho Falls’ Melaleuca Inc., and a well-heeled Republican donor — is one of American Heritage’s co-founders. Jim Dalton, American Heritage’s board executive director, says the report’s premise is flawed. The school doesn’t have a school uniform, and no student has ever sought a religious waiver for a head covering. Patriotism is a foundation of the school’s curriculum, with the goal of teaching students to be engaged citizens. Dalton helped start a similar school in Jerome, North Valley Academy, before he ever met VanderSloot. American Heritage’s governing charter mirrors North Valley Academy, Dalton says. VanderSloot and his wife Belinda have largely served as financial benefactors, Dalton said, providing a building and school site. Dalton doesn’t dispute a main message from the report: the need to serve the community as a whole. American Heritage has tried to reach out to Latino families, by posting Facebook ads in Spanish and translating application materials into Spanish. But students are admitted based on a lottery — with no accounting for demographics — and most families apply through word of mouth. “It just takes time,” he said. The Network for Public Education report notes the failure rate of Idaho’s grant recipients, as first reported by Idaho Education News in 2016. Idaho public charter schools received $21.6 million in federal grants, and $2.3 million went to schools that never opened or later closed. The report also notes that the Idaho Public Charter School Commission in April 2018 imposed academic sanctions on 13 of the 25 schools up for renewal. Nine of these 13 charters had received federal grants. While the State Department of Education no longer seeks federal charter grants, the feds’ money continues to come into Idaho. Last fall, the feds’ charter school program awarded $17.1 million to a consortium headed by Bluum Inc., a Boise nonprofit that promotes school choice. Two third-party groups will review the Idaho program, Ryan said Tuesday. One panel will grade grant applications. This group will decide independently which schools get a share of the money, Ryan said. Meanwhile, Boise State University’s Idaho Policy Institute has been hired to evaluate the effectiveness of the program, and the new schools it funds. The institute’s report is due in 2024. The Bluum consortium includes the State Board of Education, the state charter school commission, the J.A. and Kathryn Albertson Family Foundation and Building Hope, a nonprofit school finance group. The group hasn’t received any of the $17.1 million, Ryan said. The federal government will reimburse the consortium after schools receive a share of the grants. Ultimately, Bluum hopes to use the $17.1 million to create 8,200 new charter school seats over five years. The federal dollars would go toward launching, expanding and replicating charter schools that would eventually receive a share of state K-12 dollars. Bluum’s overarching goal is to serve rural and at-risk groups — the students the Network for Public Education says are underserved. “We’re trying to be strategic,” Ryan said. Last week’s report focuses renewed attention on the Federal Charter Schools program, launched in 1994. For years, the startup grant program has enjoyed widespread political backing, from Republican and Democratic administrations alike. The tone of the report, said Ryan, is “emblematic” of a political debate that has changed over the past couple of years. Urging Congress to freeze funding, the Network for Public Education addresses the politics — without directly mentioning President Trump or his controversial education secretary, billionaire school choice advocate Betsy DeVos. More about the report from Education Week. 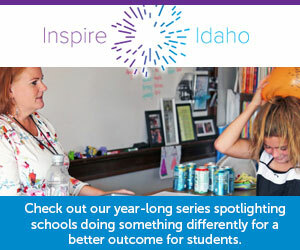 Disclosure: Idaho Education News and Bluum are funded through grants from the J.A. and Kathryn Albertson Family Foundation. Charter school students significantly outperformed students in traditional schools, especially in reading tests. But students in virtual charter schools lost considerable ground on math tests.